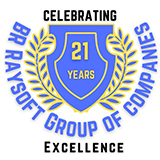 BR Raysoft Global Pvt Ltd.
Good network in USA and good understanding of International IT Market. Worked in MNCs and CMM 4 organization in these 7 years. Worked in MNCs and CMM 4 organization in these 7 years. Good network in USA and good understanding of International IT Market. Experience 15 years as executive of leading GATI Group companies 92 97. She founded BR Raysoft Tech Pvt Ltd in 2002 and the group continues to grow and today a leading consulting firm in India. He was associated with countries leading telecomm companies over 3 decades, and a Management consultant since 2000. 81 VELACHERRY MAIN ROAD GA DAFFODILS APTS,RAJAKILPAKKAM, CHENNAI - 73. © BR Raysoft Global Pvt Ltd. All rights reserved | Powerd by MBW.